GT Campbell Plumbing » Blog » When Should You Go Tankless? Despite the growing popularity of tankless water heaters, most Rochester area homes still have conventional water heaters with storage tanks. Conventional water heaters store several gallons of water and keep it warm at all times so it’s ready when needed. To do this, they use a lot of energy. In fact, they are one of the biggest energy hogs in most homes. You’ve probably heard a lot about tankless water heaters, but you may not know whether one is the best solution for your home. Keep reading to find out when upgrading to a tankless water heater makes sense. Improved energy efficiency is one of the primary benefits of making the switch to a tankless water heater. All tankless heaters use less energy because they don’t store and constantly heat water. However, some models may even have additional features to further reduce energy consumption. Tankless heaters are much smaller and take up less space when installed. When properly maintained, they last up to 20 years, compared to the 8 to 10-year life expectancy of a conventional water heater, which will also cut down on water heater repair costs. Having a tankless water heater could boost your home’s value. When Is Tankless Not the Right Choice? While tankless water heaters provide numerous benefits, they are not right for everyone. Having one installed is significantly more expensive than having a traditional unit installed. They also cost significantly more. If you need a new water heater but you are on a tight budget, tankless may not be the way to go. If you have a large family, it’s important to choose a tankless water heater that is sized appropriately for your home. Of course, the greater the capacity, the higher the price. If you don’t choose a model that is capable of heating enough water, you may find family struggling to enjoy hot showers at the same time. For many homes, tankless water heaters offer a way to save money on energy bills and eliminate the problem of running out of hot water. However, this type of heater is not right in every situation. 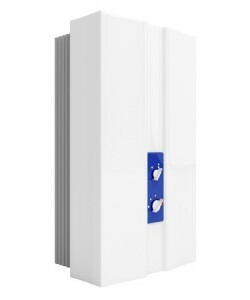 If you are interested in tankless water heaters in Rochester, contact G.T. Campbell Plumbing today. We are more than happy to discuss your needs and help you determine what type of water heater is best for your home as well as your family’s needs and lifestyle. To schedule an appointment or learn more about tankless water heaters, please contact us today by calling 585-412-4008.